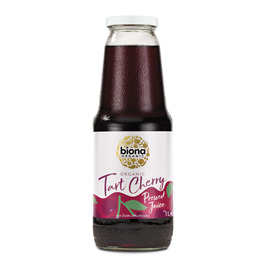 This organic cherry juice is made from carefully selected organic fruits, harvested and fresh pressed with a rich, tart flavour. Cherries have been known for centuries for their health properties. Do not drink products with popped up lids. 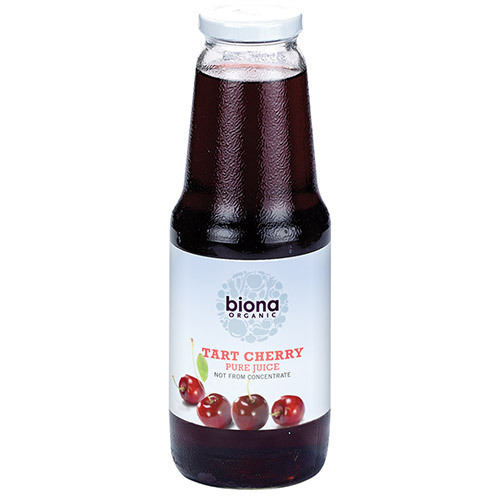 Below are reviews of Biona Organic Tart Cherry Pure Juice - 1 Litre by bodykind customers. If you have tried this product we'd love to hear what you think so please leave a review. Great product if you like cherry tart juice. Very ideal for flushing or pretend wine. Love this product. Helps to keep the blood sugar down. Fabulous tarty cherry juice. Fully lived up to my expectations. A little expensive but well worth it. Fantastic product, good value for money, will certainly order again. This is like drinking wine with no bad side effects. Great product for those who suffer from gout. Good service and happy with the product. Good price. Good quality, great for raising your pH level to alkaline if you suffer from gout. So all good from this seller. Good quality and service. This juice has definitely helped my arthritis pain. This is the third time i have ordered the Tart Cherry Juice, all organic, which is most important, and helps with so many problems. Will be ordering again.